Transport międzynarodowy i logistyka | Render Sp. z o.o. The outcome of fruitful cooperation with our Italian partners is a regular groupage transport between Poland and Italy. It’s a distinguish feature of the company. Transport in both directions works smoothly and with its precise rhythm – the whole delivery process takes up one week. 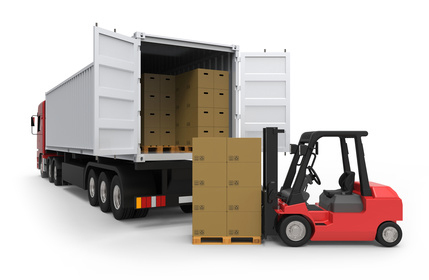 ADR transport due to its specificity is regulated by a number of well-defined rules. RENDER is able to meet all requirements providing customers with the highest security and quality of service. "I do recommend the service provided by Render Sp . o.o. especially those who are looking for a reliable partner for cooperation. " "The Company Render is characterized by reliability and timeliness in order processes. We hereby confirm our good cooperation. " "High quality service, backed by the reliability and flexibility of the company, allows us to recommend RENDER Sp . o.o. as a trustworthy loads forwarder. " International freight forwarding + Transport Italy ↔ Poland. + ADR transport+ Logistics = Render Sp. z o.o. RENDER company was founded as a joint venture Budmasz company and the Italian company Bossi & C. Transiti of Genoa , combining proper Polish entrepreneurs energy and desire to achieve international success gained from Western European experience. Budmasz began to operate immediately after the abolition of the state monopoly and since 1988 the company has been paving the way of European transport routes. Several years of cooperation with foreign partners led to a rapid growth of the company. In response to the growing demand, Budmasz launched its own customs agencies, which soon gained a good reputation in the transport community. By entrusting us to carry out orders, customers can be confident about the safety of their goods. We provide professional supervision and optimal storage conditions in our logistics warehouses located in Silesia and Cracow, hence goods are delivered directly to the customer.